Palm's new operating system division is looking a lot like an Apple reunion. Yesterday David Nagel was named president and CEO of Palm's new operating system subsidiary. Nagel was most recently AT&T's chief technology officer, president of AT&T Labs, and a Palm board member who had been overseeing the creation of Palm's new OS unit. Prior to this, he was a senior vice president at Apple and led its worldwide research and development group. He's perhaps best remembered, fairly or not, for spearheading Copland, one of the failed next generation operating systems that Apple attempting before finally succeeding with Mac OS X. In fact, in August 1995 Nagel told a Macworld Expo crowd that Copland would be in Mac owners' hands by mid-1996. In November, a beta version of Copland went out to developers. But in late 1996, Apple canned Copland. Also on board the new Palm division is Steve Sakoman, who will serve as chief technology officer of the OS subsidiary once Palm's purchase of Be is completed. On Aug. 16 Palm entered into a definitive agreement to buy Be's intellectual property and technology assets for US$11 million, to be paid in common stock of Palm, which Be currently intends to liquidate as soon as reasonably practicable following the closing of the transaction. Sakoman is Be's chief operating officer. 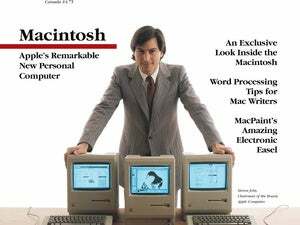 Prior to that, he was Apple's director of CPU development managing the hardware group, which was responsible for the Apple II and Macintosh product lines. Sakoman also started and managed the Newton development team. Other Apple alumni at Palm include Doug Solomon and Satjiv Chahil. Solomon, who spent 15 years at Apple and was most recently president of Interval Research, will serve as Palm's chief strategy officer. Chahil, Palm's new marketing chief, is a veteran of Apple and Sony and most recently worked at Newbridge Networks. Nagel will join Palm on Sept. 17 and will report to the Palm board of directors until the new software subsidiary is formed later this year, according to a CNET story. Then he'll report to a separate board of the independent OS subsidiary even as he remains on Palm's board of directors. On July 27, Palm announced that its Platform Solutions Group, which develops and licenses the Palm operating system, would be spun off into a wholly owned subsidiary by the end of the year. A committee of the board of directors of Palm, chaired by David Nagel, will oversee the subsidiary's establishment. An Advisory Council of Palm OS licensees will also be formed to consult on the subsidiary's objectives and provide a direct channel for communication with the Platform Group. Under the new structure, the Platform Solutions Group would operate independently from the hardware division. However, it would continue to leverage Palm's infrastructure and staff services. This story, "Palm OS unit filling with Apple alumni" was originally published by PCWorld.